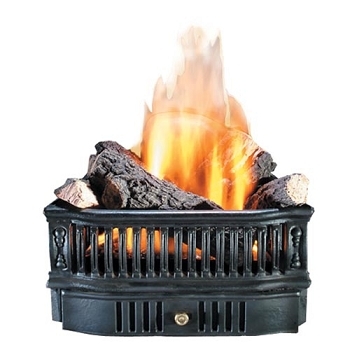 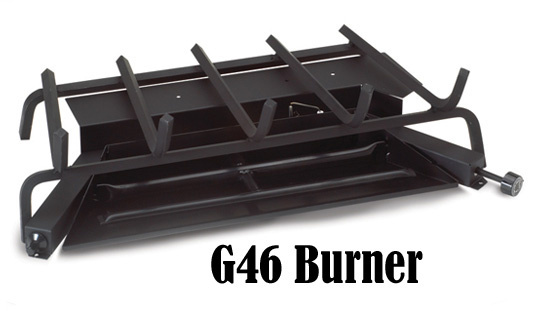 G46 Gas Burner; Grate;choice of Log Sets shown;Glowing Embers;Sand (Natural gas) or Vermiculite (LP gas); Connector Kit; Piezo Igniter; Damper Clamp; Variable Remote Control Handset with (Style 17) Valve. 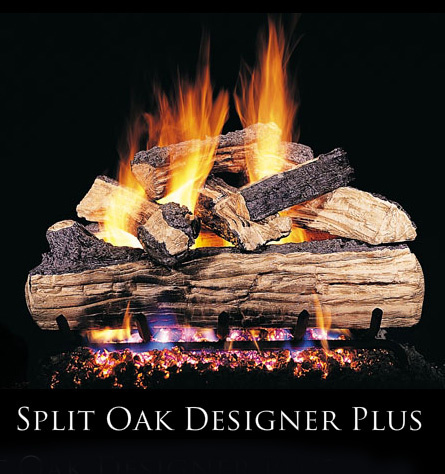 Your choice of Log Styles shown left, available in 3 sizes. 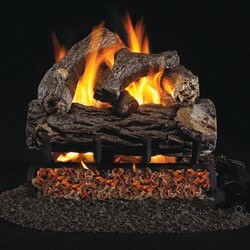 How do they make these logs so realistic? 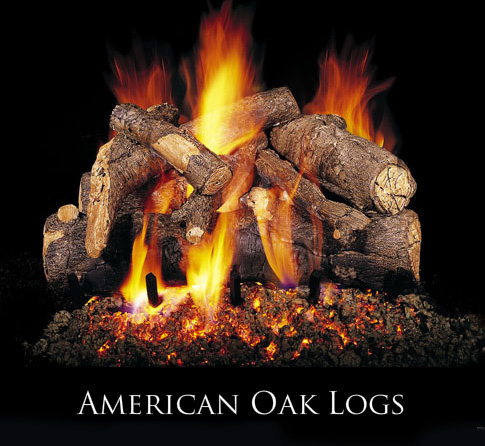 Start with real wood logs! 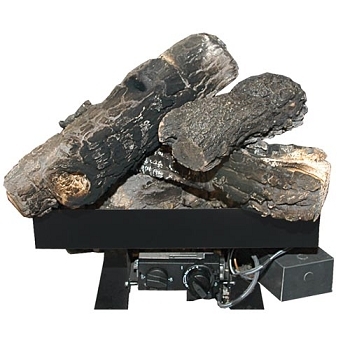 Peterson's designers gather real wood logs and branches from several species of wood, then make a mold to exactly duplicate natural firewood. 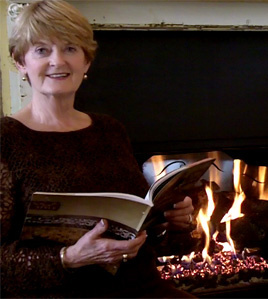 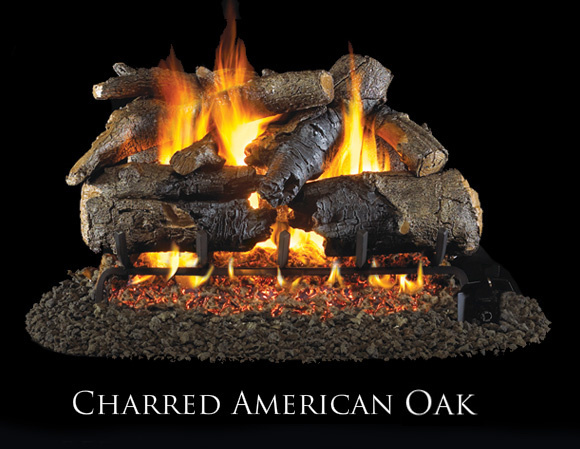 Real fires are built, and charred pieces are saved for careful reproduction, too. 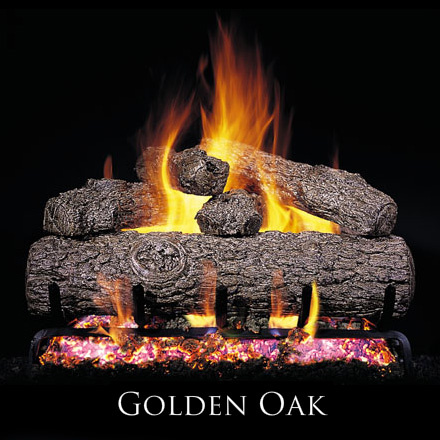 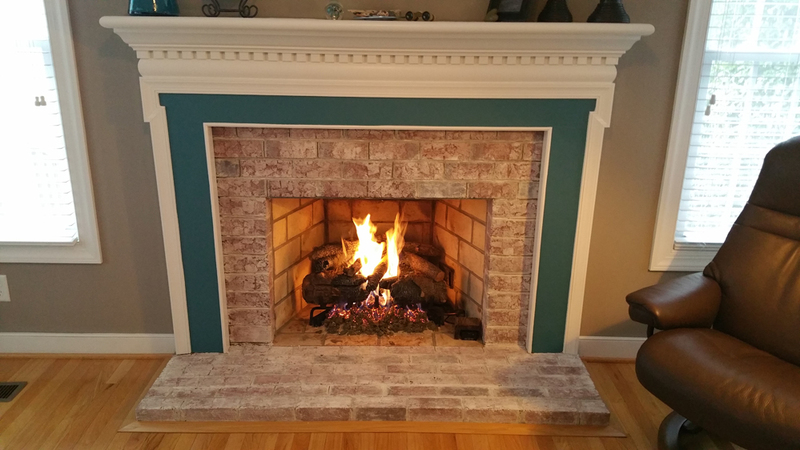 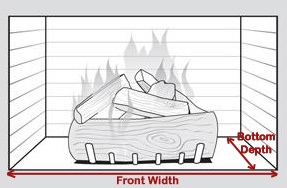 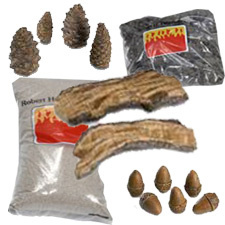 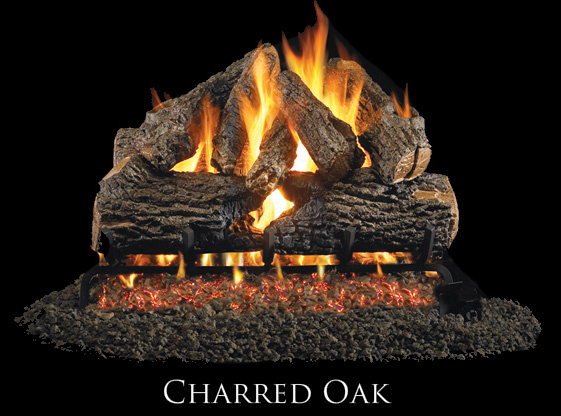 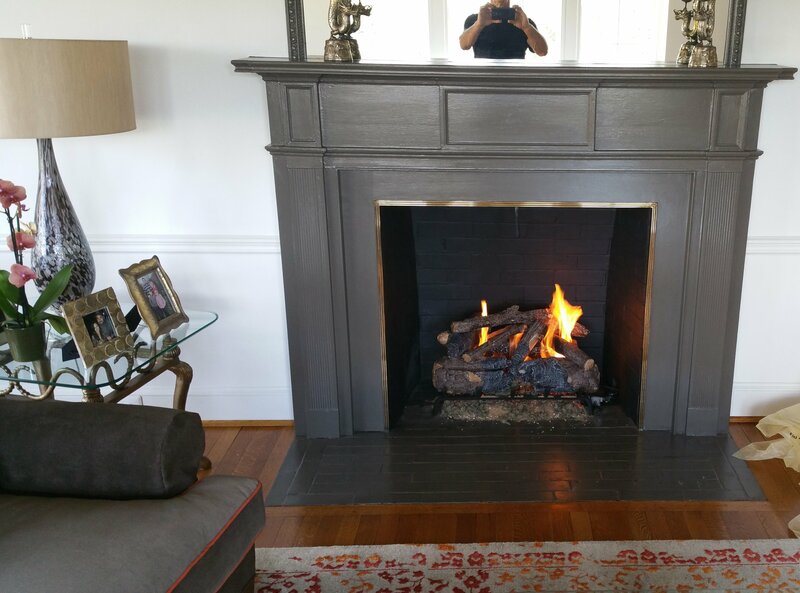 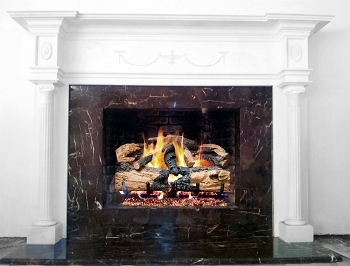 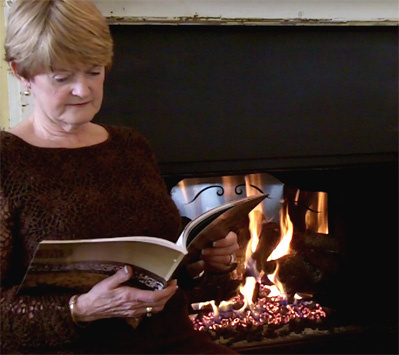 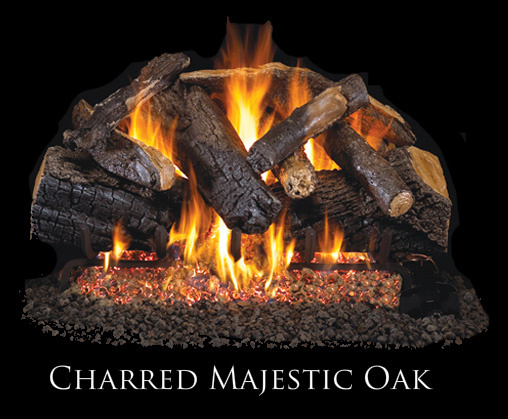 REAL-FYRE logs are made from a high quality, heavy-duty ceramic, reinforced with steel rods. 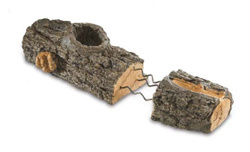 They're designed to look great out of the box and to last for years and years without chipping or breaking.